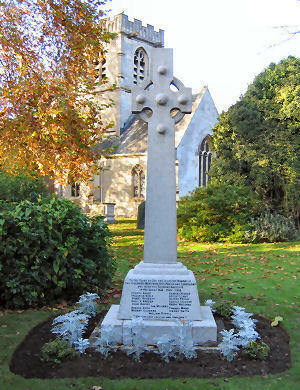 The War Memorial is located just inside the entrance to St. Swithun's Church graveyard, Hempsted, Near Gloucester, Gloucestershire, UK. The entrance to the churchyard is at the corner of St. Swithun's Road and Rectory Lane. 27th March 1942. Aged 54.